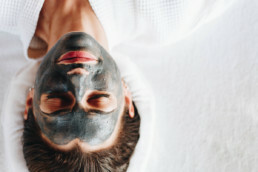 Facials offered by your professional spa therapist incorporate various cleansers, exfoliators and moisturizing agents. Each plan is developed to suit a particular complexion. Purchasing products on the market to complement your skin is tricky. The combination of ingredients could trigger sensitivities or leave you managing a sudden breakout. Consulting with professional therapists helps determine different types of skin treatments most compatible with your aesthetic and healthcare requirements. Dry Skin – A deeply nourishing and hydrating moisturizer including an oil base is beneficial for dry skin. A professional therapist will apply products that maintain hydration at the deepest layers with age prevention properties. Combination Skin – this skin type suffers from oil patches across the chin, forehead and cheeks while other areas of the face remain dry. Oily Skin – Managing excess oil can cause blemishes, inflammation and constant shine. Products for oil prone skin aim to manage the production of excess sebum and prevent breakouts. 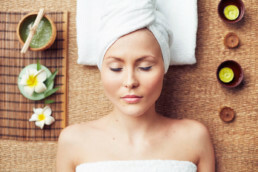 Your trusted studio therapists will advise on the types of treatments suitable for your skin type. The purpose is to manage and reduce problems while restoring balance. The practice of a hydrafacial is beneficial for very dry skin types. It includes a small device that is placed over the skin, helping to remove excess dirt and debris. It creates a supple complexion and makes the skin more receptive to the application of creams and hydrating products. This modern procedure involves deeply cleansing solution to remove dirt and leave a dry clean skin. A scalpel is applied to the complexion at an angle with the purpose of mildly removing the finest layer of cells and tissue to reveal the fresh and rejuvenated skin just below. It is also an exceptional technique to remove fine facial hairs and clogs. It is not suitable for sensitive skin. Lasers are commonly sought to correct areas of uneven skintone, scars and to deliver age prevention therapy. Consult with your professional skincare therapist to learn which enhancement and maintenance treatments are suitable for your complexion. 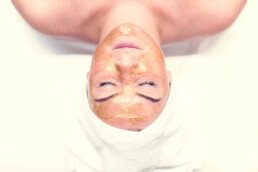 The Gallery Massage Studio is at 3919 Tennyson Street Denver, Colorado offers treatments and skin management options. We deliver a variety of service solutions assisting in producing a healthy complexion. The beautiful tone and suppleness of a glowing skin requires the correct product application to deliver attractive results. 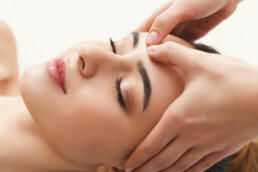 Consult with our professional therapists for lasting dermal wellness.